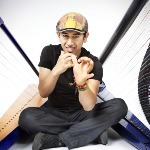 Nobody plays the harp quite like Edmar Castenada. Reviewers invariably reach for the thesaurus to search for new ways of expressing their amazement at his rapid-fire virtuosity, sumptuous lyricism, rhythmic inventiveness and sheer creative energy. His frequent collaborator, Paquito D’Rivera, described him as “an enormous talent... one of the most original musicians in the Big Apple”. 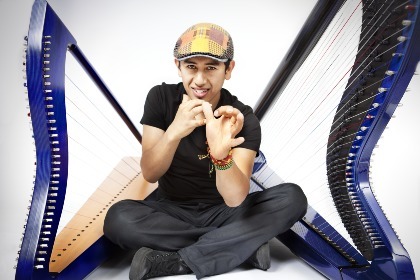 Indeed, the Bogotá-born dynamo has revolutionised the way audiences and critics alike view the instrument, not only redefining its possibilities but redesigning it too. The New York Times called him “almost a world unto himself”. Alongside his many collaborations with the likes of Marcus Miller, Gonzalo Rubalcaba and more, he’s busy with his own 10-piece World Ensemble and his unique trio project with trombonist Marshall Gilkes and drummer Rodrigo Villaon. Cascading melodies, blistering bass-lines, sparkling rhythms… where’s that thesaurus?